The facility works are assessed each month in accordance with the regulation on the occupational health and safety management system at the nuclear facilities construction sites. Following the assessment, the prizes are awarded. The head of the field headquarters awards the representative of the winning contractor with the occupational health and safety transferable honorary flag. 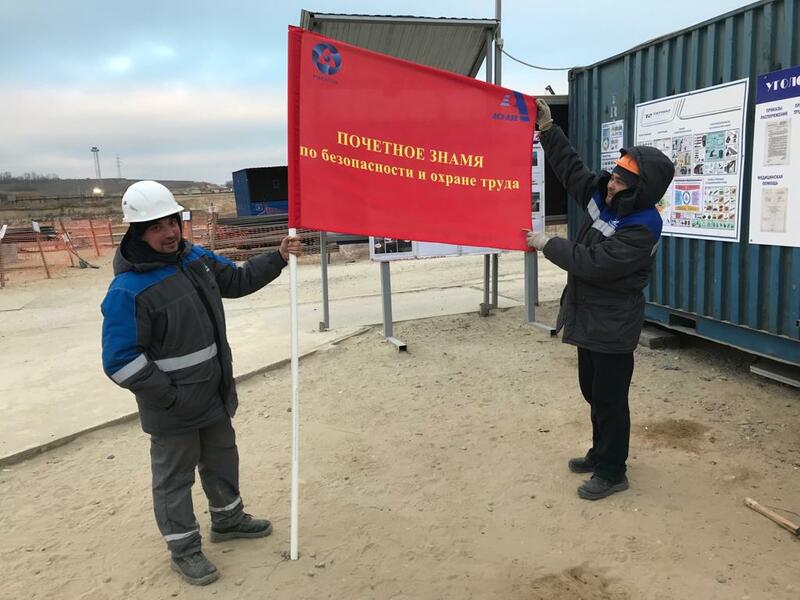 Concern Titan-2 is the first to receive this flag at the Kursk NPP-2 construction site. The award ceremony took place during the safety briefing. Titan-2 construction workers are mainly involved at the Kursk NPP-2 turbine island facilities. The full scope of construction and installation activities will be performed here.